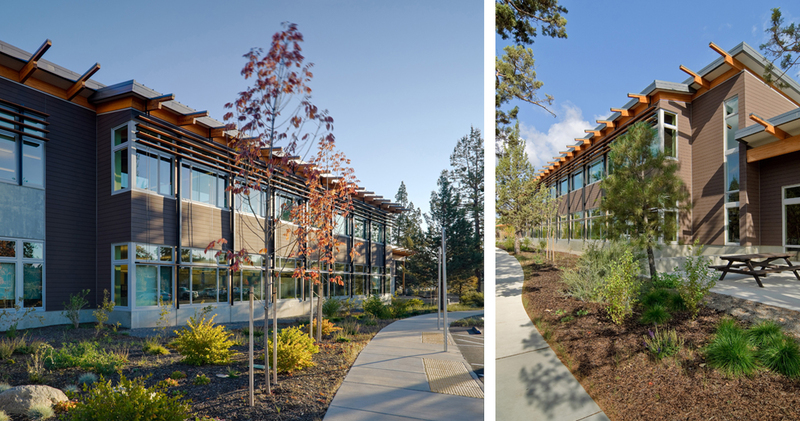 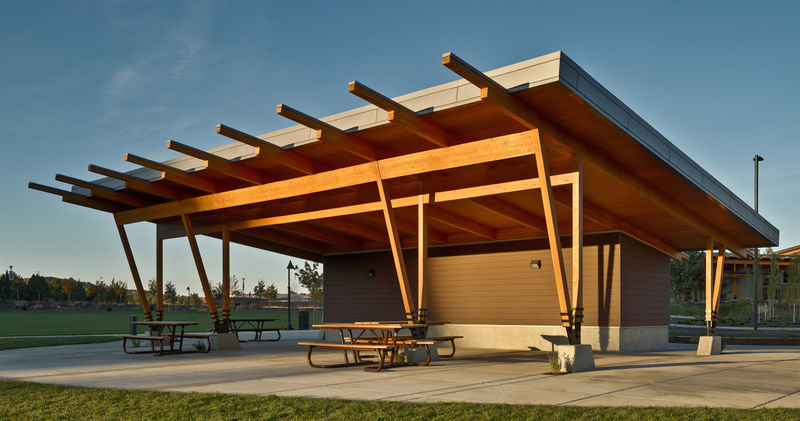 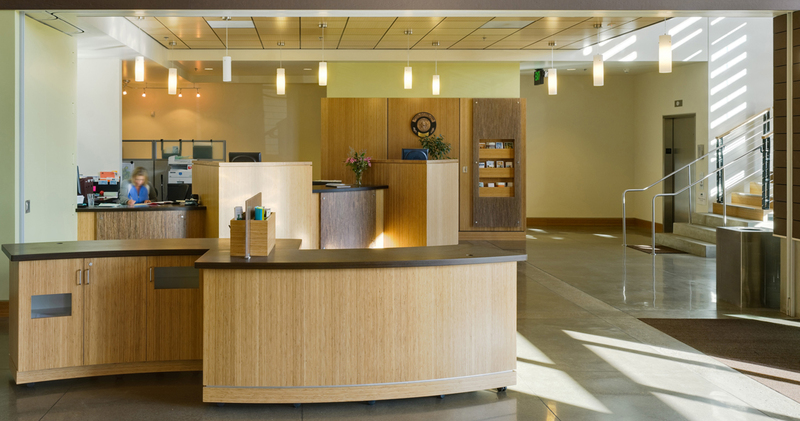 The LEED Gold certified Bend Metro Park and Recreation District Administration Building is one of the most sustainable projects constructed in Central Oregon. 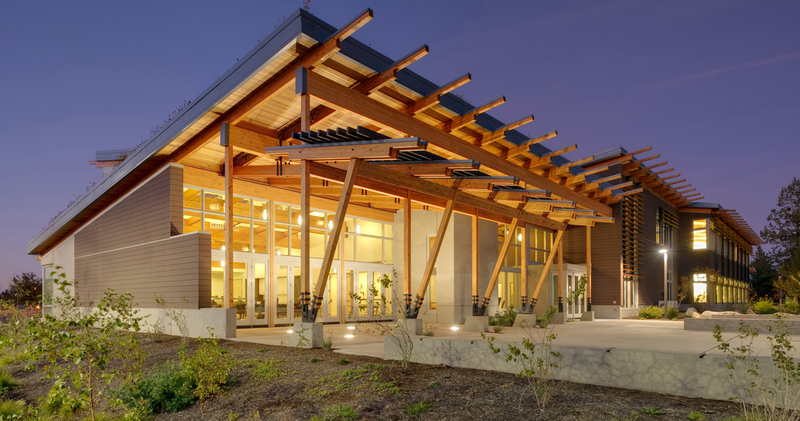 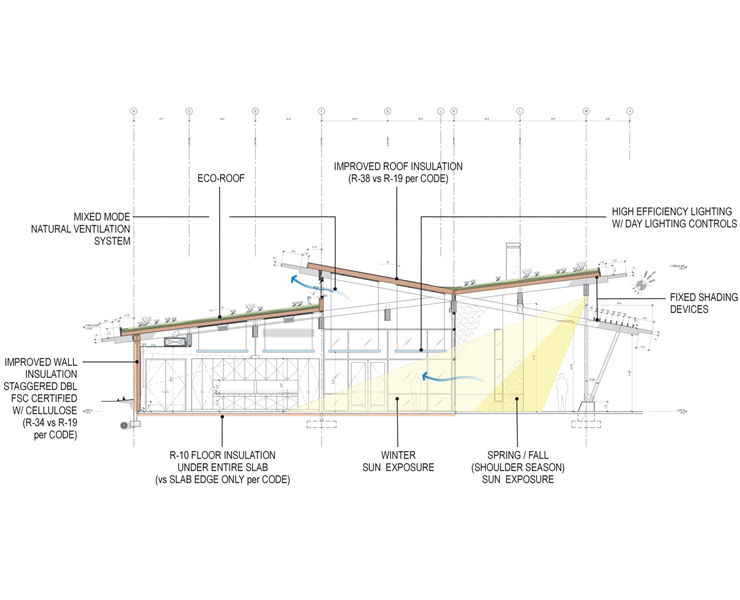 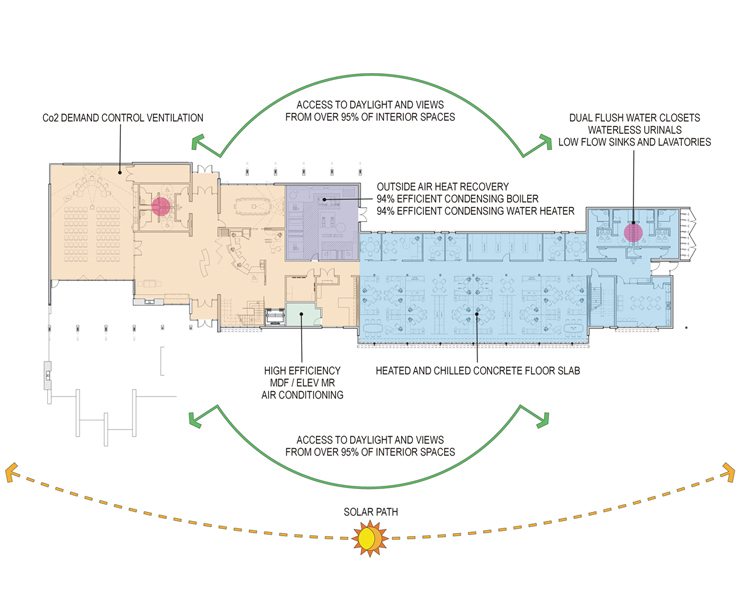 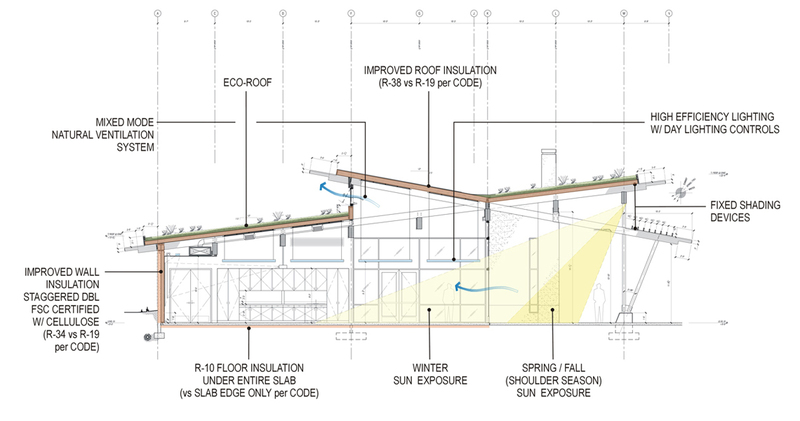 It is designed to demonstrate how to integrate a building into its environmental context with an emphasis on the high desert climate and landscape. 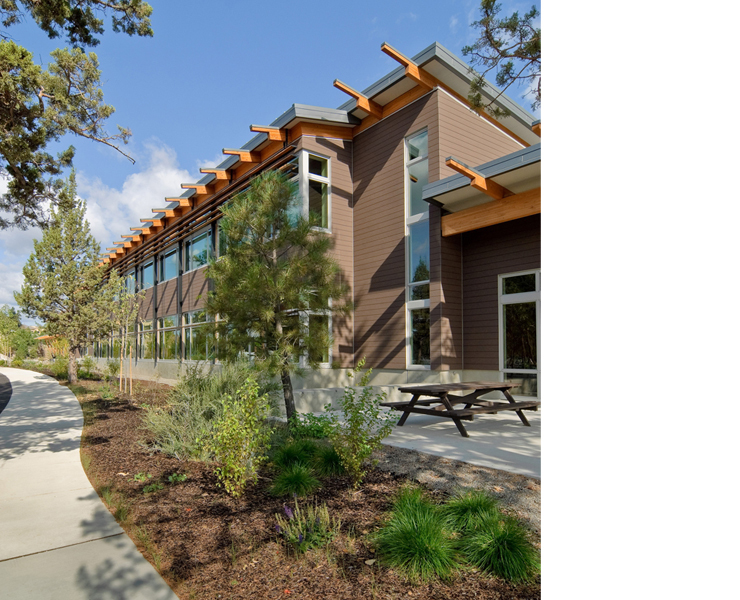 The building is tied to the fabric of Bend’s Old Mill District, expressing a welcoming park-like experience. 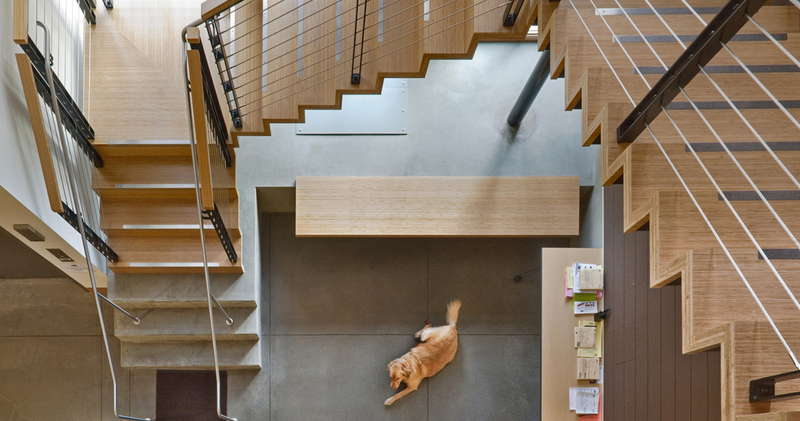 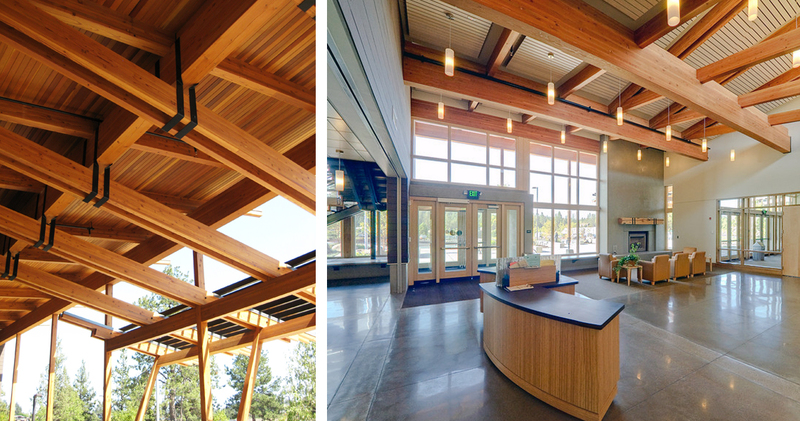 A large outdoor terrace creates an inviting entry into an information lobby and adjacent community room. 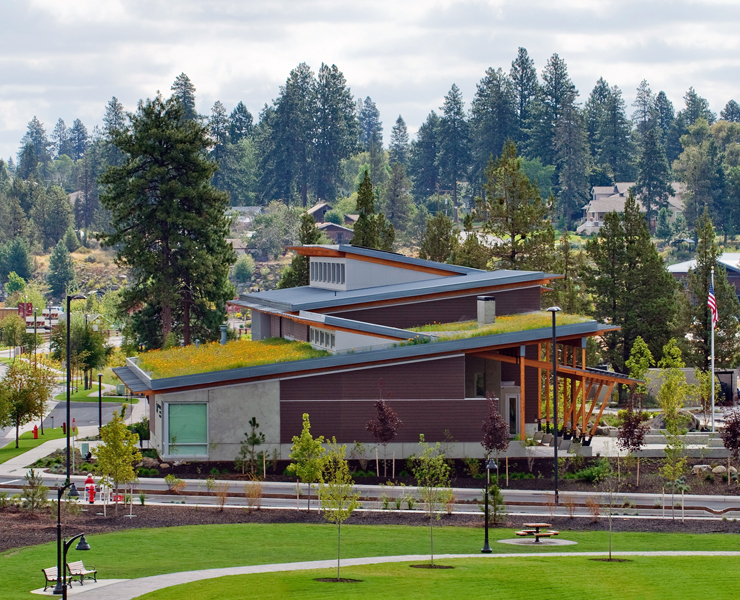 A green roof, planted with wild flowers, blends the building into the riverfront park site and helps mitigate storm-water runoff. 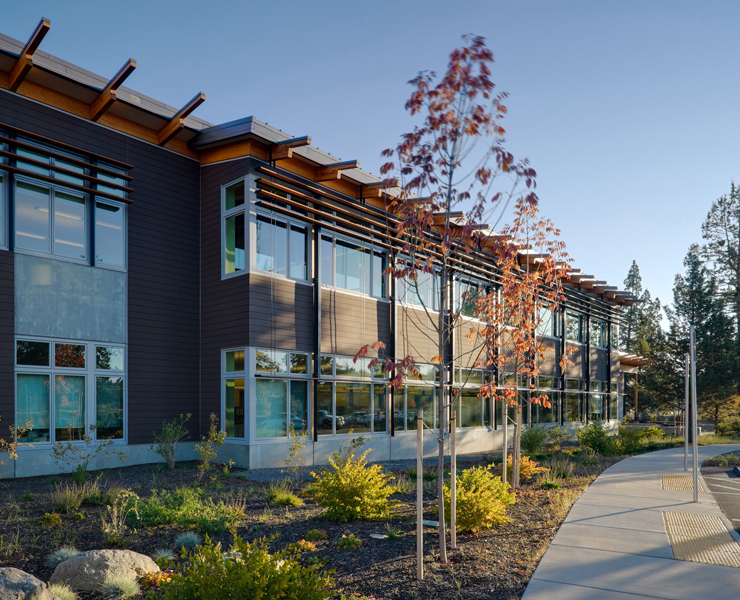 Along with community functions the building houses staff in open workspaces to encourage interaction, while large south facing glazing provides extensive daylighting and views of the adjacent river. 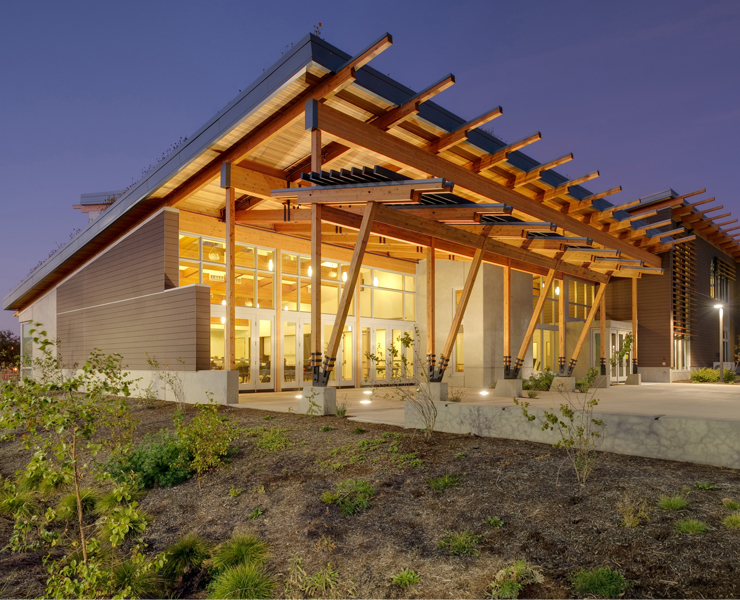 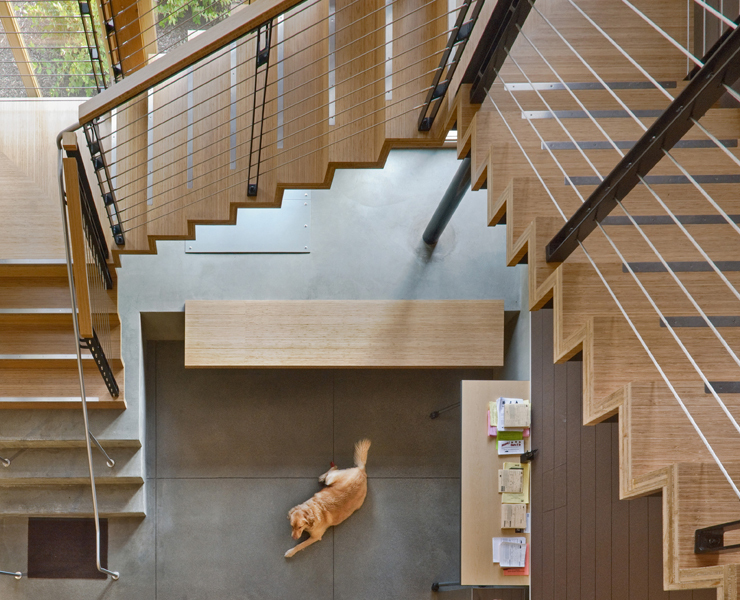 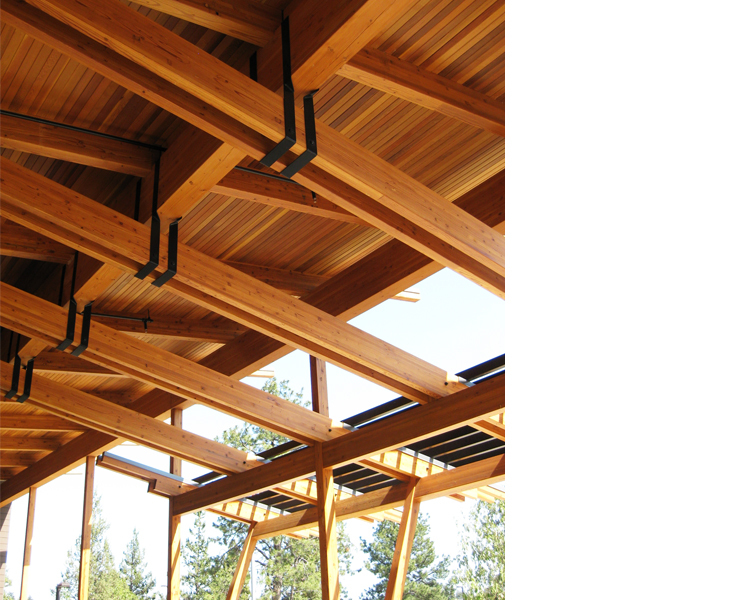 The facility’s design, utilizing exposed wood and steel, is a humble and honest expression of the structure, while a high level of craft and detail give the building a civic quality. 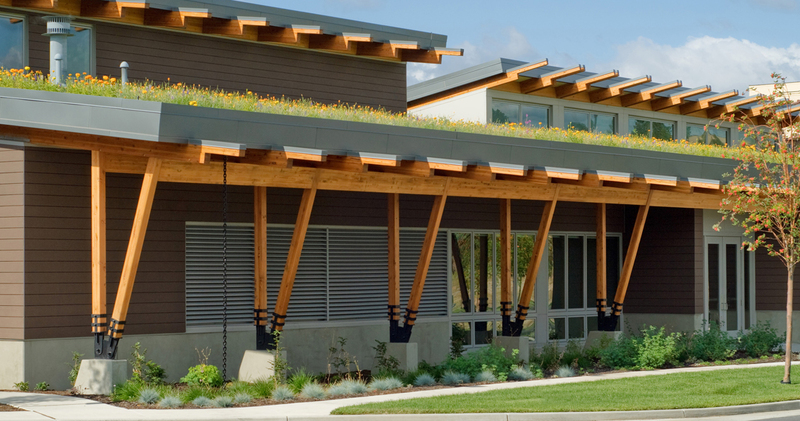 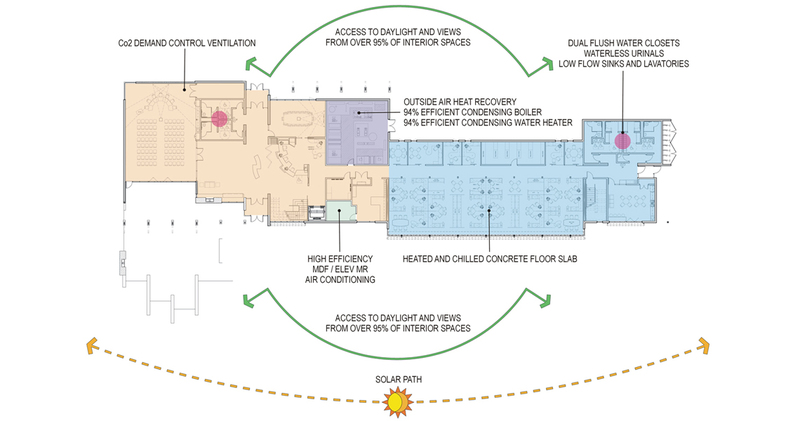 Native regional materials were locally sourced to lower the building’s environmental impact. 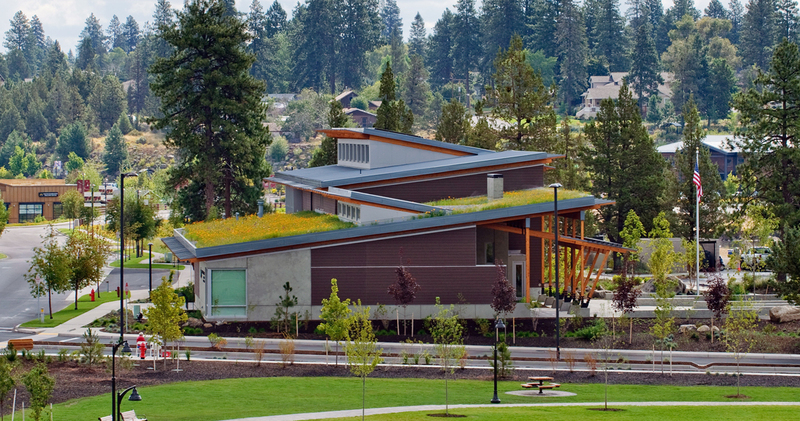 The Bend Administration Building recently added a large 42.9 solar array to building! 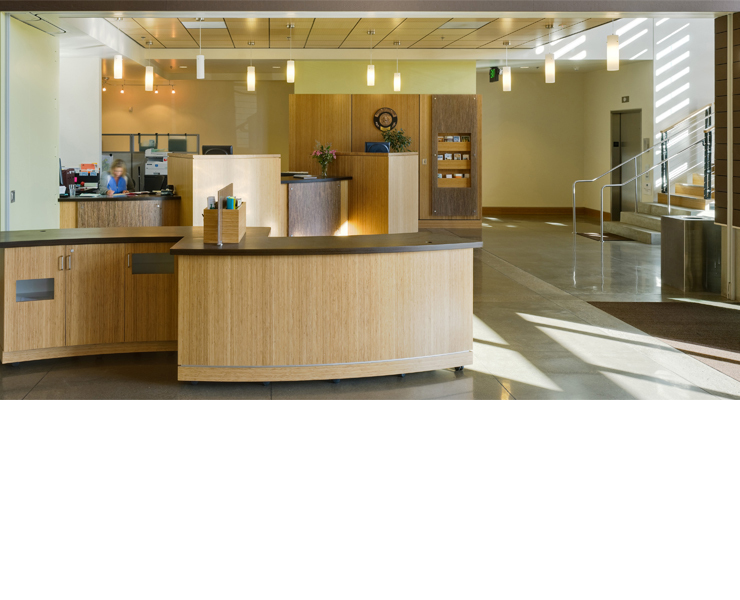 To view the live dashboard, click here. 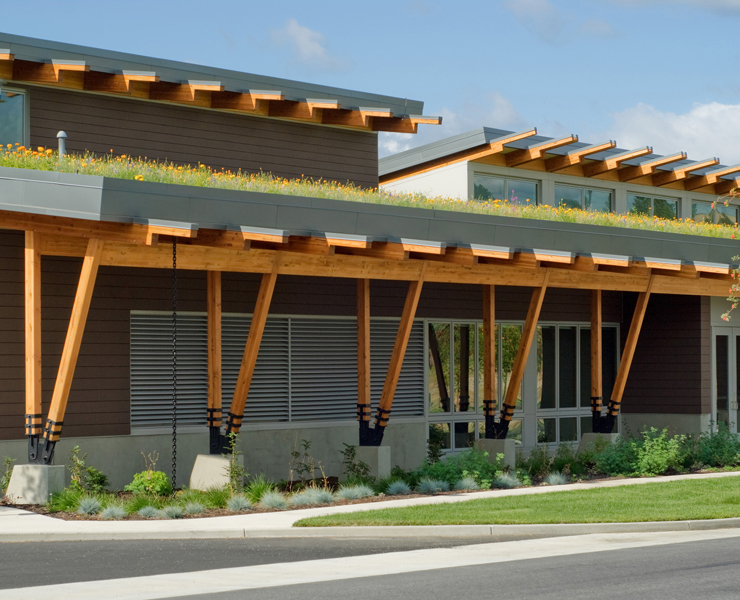 To learn more about their commitment to sustainability, click here.